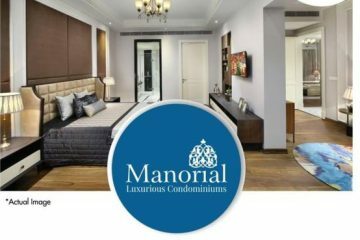 A New Residential Property Project By The Most Reputed Real Estate House of Mumbai-PIRAMAL REALTY . 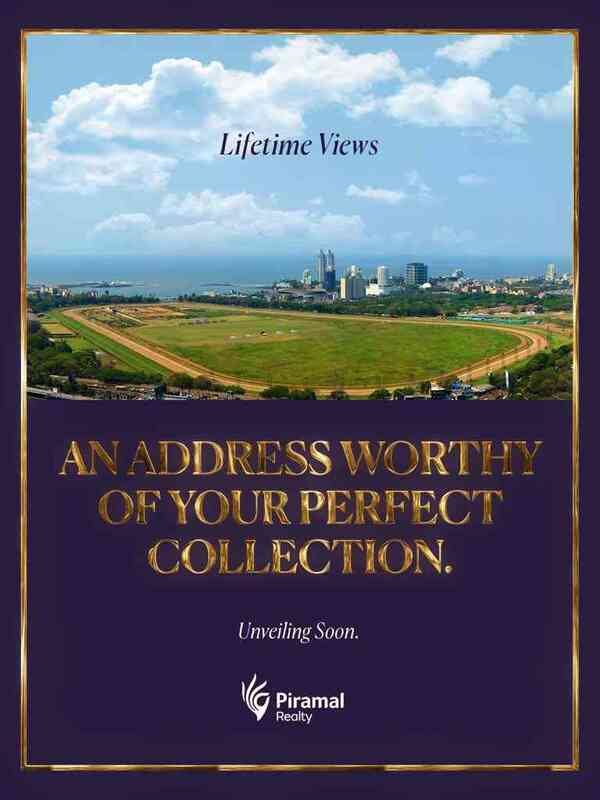 Piramal Mahalaxmi is a new coming soon two and three Bed Residences apartment with views that will enamor you.Starting 3.40 Cr Pre-booking open in 24 hrs.For pre booking this property you can discuss your property Queries with us @9958959555 . 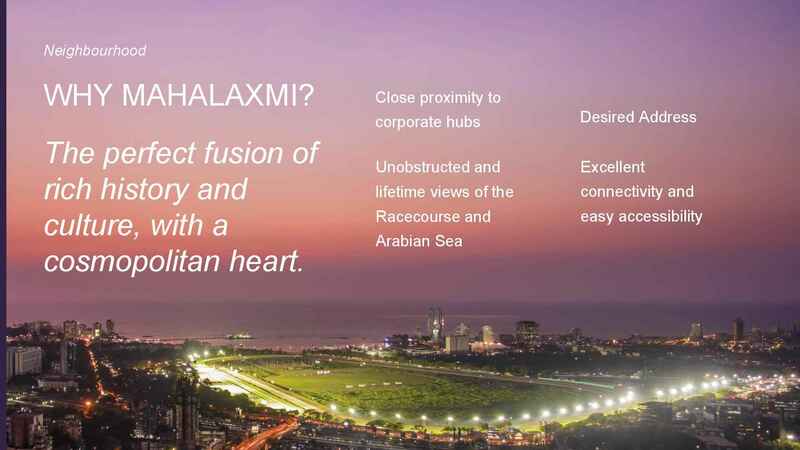 “Piramal Mahalaxmi” – facing 225 acre of biggest green lung of the City “Mahalaxmi racecourse” & “Arabian Sea”. 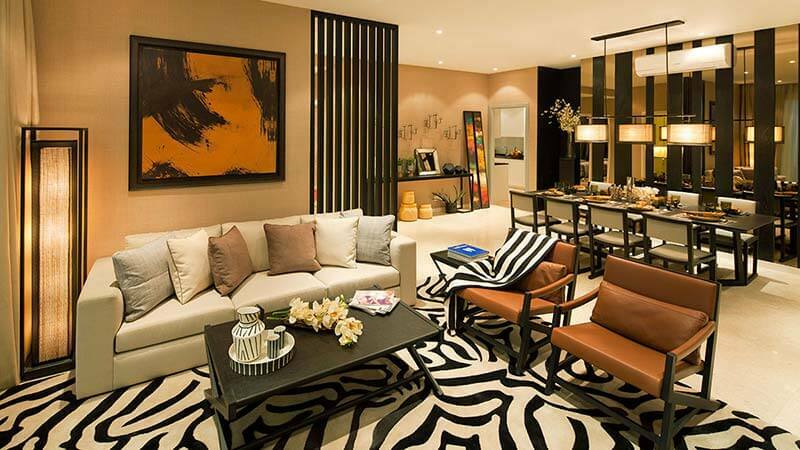 India’s most admiring real estate company is Piramal Realty which has launched several artistic residential projects. They are trying to transform Mumbai’s skyline with their world class fine residents. Piramal Realty came into the real estate by 2012 and has association with Global experts to present the most attractive residents and commercial projects. Piramal Realty is under both commercial and residential development where 85% of their projects include residential development. It is one of the prestigious projects of Piramal Realty. The location of Piramal Mahalaxmi is South Tower, south Mumbai. The development spread nearly 4 acres with the floor to floor height of 3.2 M. This residential project is getting ready under the partnership of Piramal Realty and Omkar. The homes at Mahalaxmi give the pleasant views of harbor, and lifetime views of race course. Contact us and grab your address soon. Why Piramal Mahalaxmi is the best place to reside in South Mumbai? Mahalaxmi is the perfect fusion of rich history and culture, with a cosmopolitan heart. It has all necessity corporate hubs nearby. This precious place also holds the lifetime views of Arabian Sea, Racecourse and harbor. You will get the desired address in Mahalaxmi and can have easy access to the nearby cities as it is at the center of the South Mumbai. Call us +919958959555 and book your flat soon. The first thing is the location, as everyone will wish to have a luxury home in a perfect location. And Piramal Realty is ready with their residents to book in the vibrant precinct of Mahalaxmi. You can get your dream home in a perfection location with the premium address. The Piramal Mahalaxmi is the one giving you the private luxurious residence at the most economical rate. It has combined apartment which suits both large and growing families. Better investment opportunity where you can get the great lifetime profit of a precious dream home. Your dream home will be filled with pleasant and fine architecture as Piramal Realty hire world class consultants to build a residential projects. The residential apartment in central tower has 4 luxurious apartments on each floor. It has both 3 and 4 private residences. 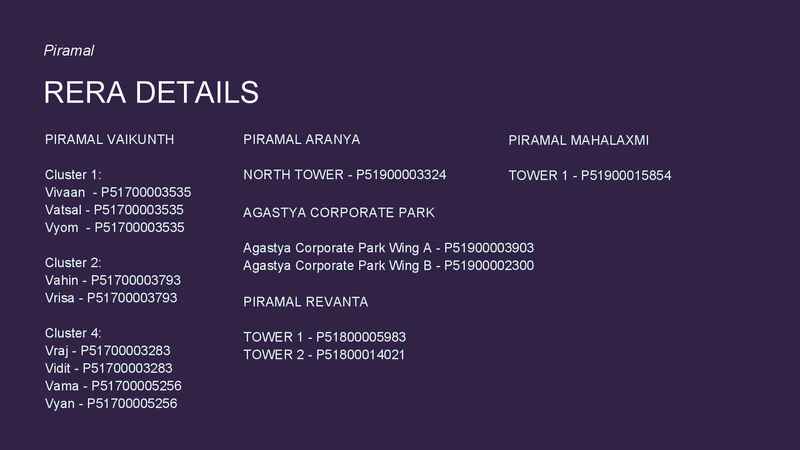 The apartment of Piramal in Central Tower has expensive decks on all level. It also has the T-shaped tower with angled wings which attract every resident. The homes at Central Tower have En-suite bathrooms with independent powder rooms. The residences presented by Piramal in Central Tower offers you the elegant panoramic views from each and every angle. It offers you the luxurious private homes with ultimate privacy. Piramal Realty chooses the world class best amenities to have a luxurious and stylish living in the apartments. Following are the indoor and outdoor amenities. The project offers you both the luxury environment and lovely eco-friendly surrounding which you may find difficult to find in such a cosmopolitan city. Marvelous balcony views from where one can view the pleasant morning and sunset. EOI customers have the benefit of 10 lakhs if they purchase 3 Bed residences. 3 bed residences starting from 6.64 Cr. 4 Bed residences starts from 8.68 Cr with the benefit of nearly 15 Cr. Piramal Realty is in the field of real estate since 2012 and has developed plenty of successful commercial and residential projects. 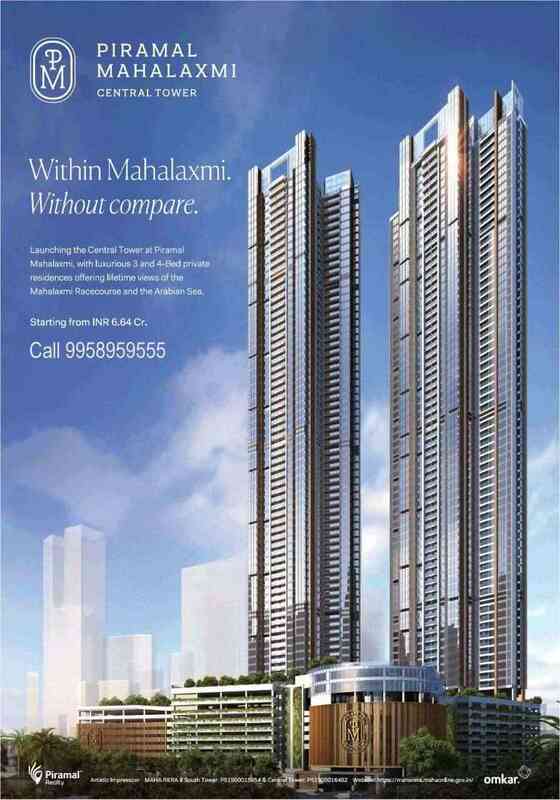 To know more about Piramal Mahalaxmi visit www.piramalmahalaxmi.net. To get your home booked call us +91-9958959555. We offer you the better assistance to own a home in the prestigious location South Mumbai. Don’t miss this precious opportunity. 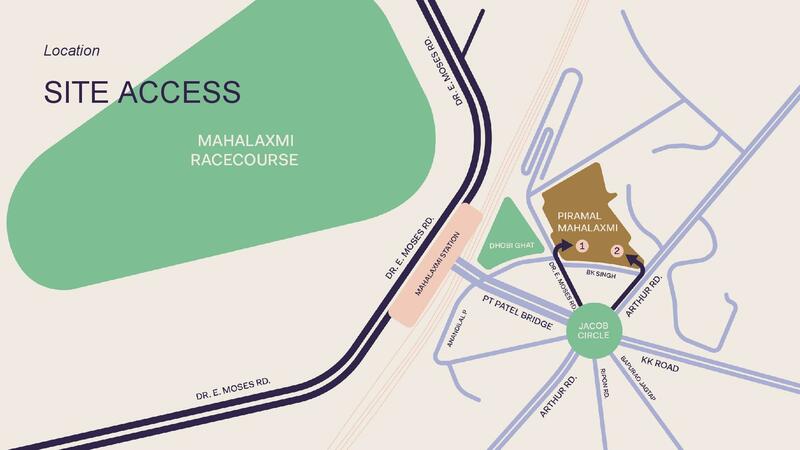 Piramal Mahalaxmi’s emblem, inspired by the racetrack of the iconic Mahalaxmi Racecourse, that resides beside the property. Having Private luxurious residences at a low price, located in the vibrant precinct of Mahalaxmi which is combined apartments for growing families. Pamper yourself with an memorable summer retreat in a luxury villa with panoramic sea views and start the day with delightful breakfasts in sun-kissed gardens. Get inspired by our selection, to help you pick the best destination. This is the Great investment opportunity and potential upgrade for a lot of South Mumbai clients. Piramal Mahalaxmi Central Tower Luxurious residences with lifetime views with exclusive privacy with 4 large spacious apartments per floor. It is a T–shaped pinnacle with angled wings with expansive decks on all levels and an elegant interior design with creative mark, also en-suite bathrooms. 4-Bedroom inclusive of Prime front-facing vistas Master bedroom suites with 3-sided curtainwall glazing to maximize connection with nature Ease of combining residences with expansive living and dining, independent access to servant’s room from the lift lobby area. Houses dazzling all encompassing perspectives from each edge, representing perfection and modernity. Guests will enjoy their best time strolling in the private garden, or swimming laps in the private pool, then basking on the beautiful sun deck. Launching 3 & 4 beds at Piramal Mahalaxmi – Tower II. The property bookings for two bed , three bed and two and three bed jodi flat can be done with Expression of Interest and a bankable check ,draft or NEFT. Pay 20% spread across 1 year time duration ! 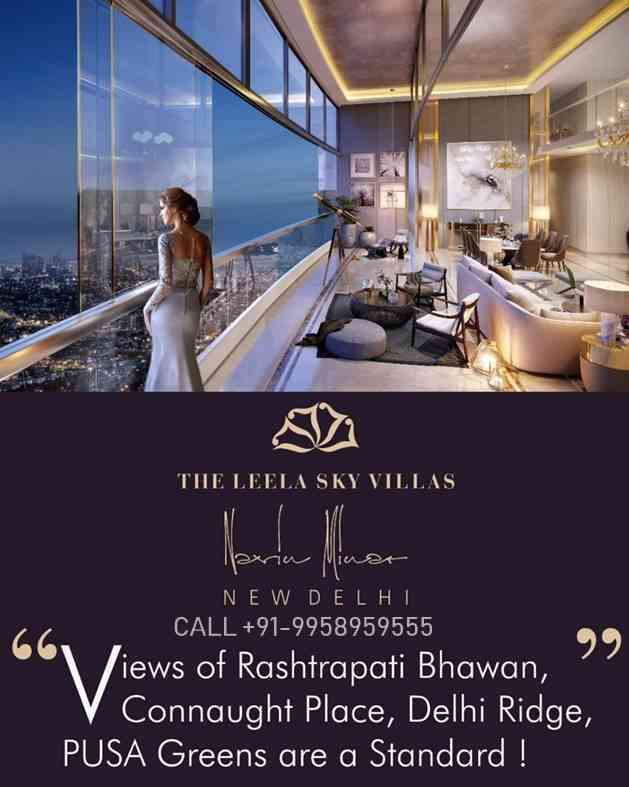 Please CALL9958959555 if you’d like to take interest and see the floor plan, master plan, elevation images, internal and external amenities list and more. Call 9958959555 for details of upcoming Mahalaxmi Project Mumbai by Piramal Realty pre-launch project details and pricing for the project. 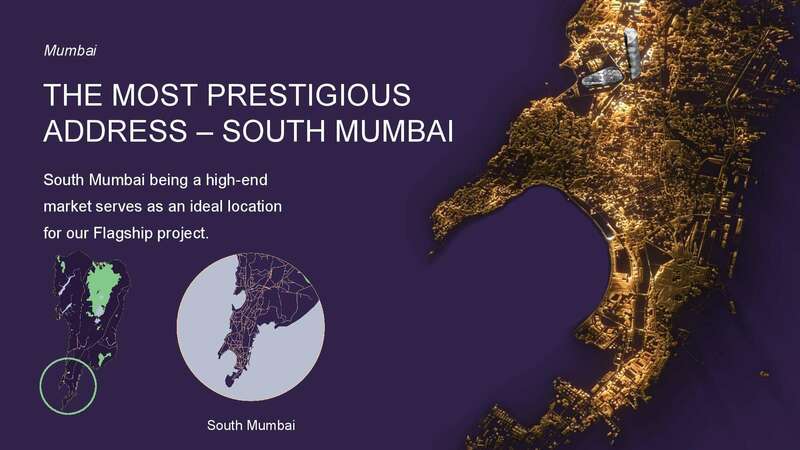 Piramal Mahalaxmi Mumbai project Call 9958959555 for pre-launch project details and getting benefit of inaugural launch offers,piramal mahalaxmi mumbai is a new property project coming soon,an upcoming new residential project by Piramal Realty in Mahalaxmi Mumbai. 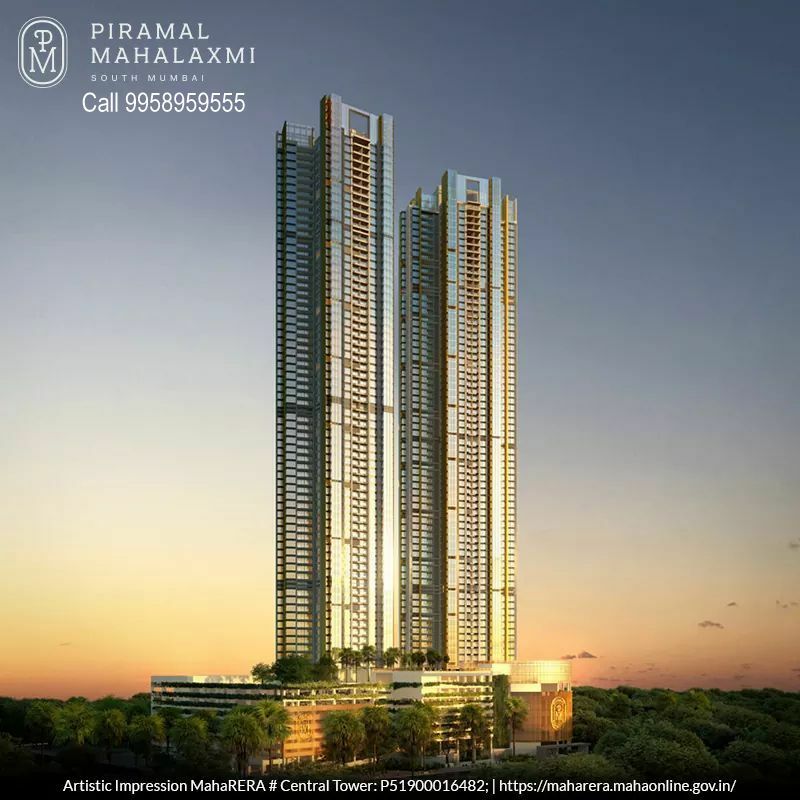 Piramal Mahalaxmi – A Piramal Realty property for enriched life in South Mumbai2018 Piramal Realty has announced the launch of its flagship project in South Mumbai Piramal Mahalaxmi. Piramal Realty well-planned and designed the residential project in one of the Mumbai’s most popular and sought-after addresses. Development of such a prestigious project will be a perfect benchmark in South Mumbai by Piramal Realty. Own your luxury 2 BHK or 3 BHK residences and create an impressive address for life through Piramal Mahalaxmi. 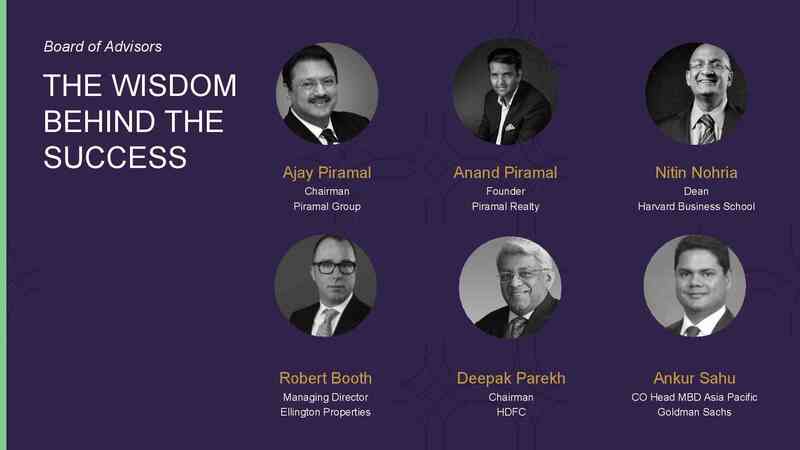 Why to choose Piramal Realty? One who dreams to own a house will definitely seek for a perfect real estate industry to invest their savings of life. And Piramal realty is one of the trust-worthy real estate industries which have the strong base in residential and commercial projects since 2012. The aim of Piramal Realty is to enrich the lives of people by developing a high quality and architectural homes. 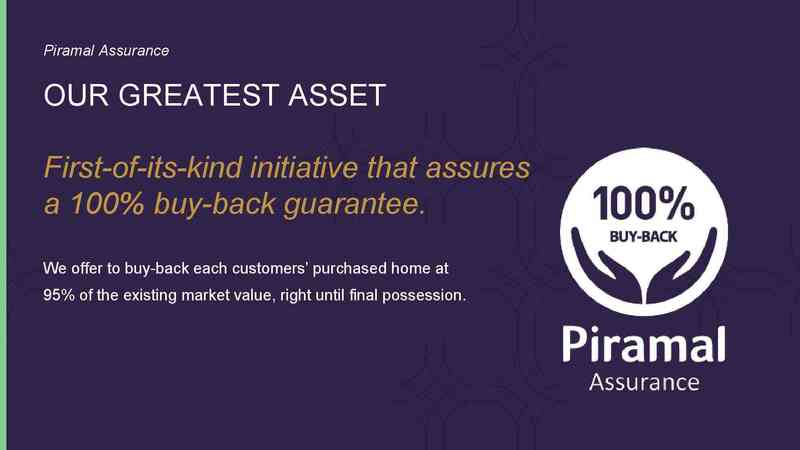 Piramal assures for 100% buy back guarantee for customers who purchased homes at 95% of existing market value. Piramal has successfully launched Piramal Aranya, Piramal Vaikunth, Piramal Revanta, and Piramal Agastya so far. The new 63 storeys high Piramal Mahalaxmi has now joined to this successful list. Life in Mumbai is the dream of many people. Setting a luxury and enriched life in Mumbai is now possible with the help of your investment in Piramal Mahalaxmi. Dream house in the dream city Mumbai will give the pleasure of living. 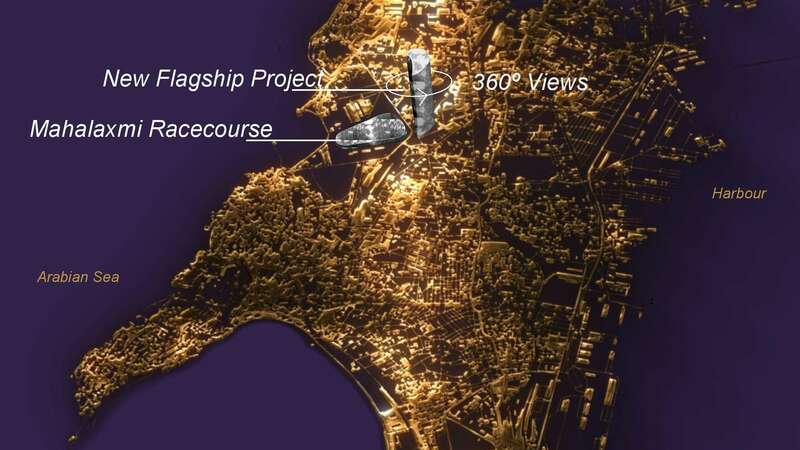 This is a very good location property in south mumbai providing seafacing 3 bedroom apartments . 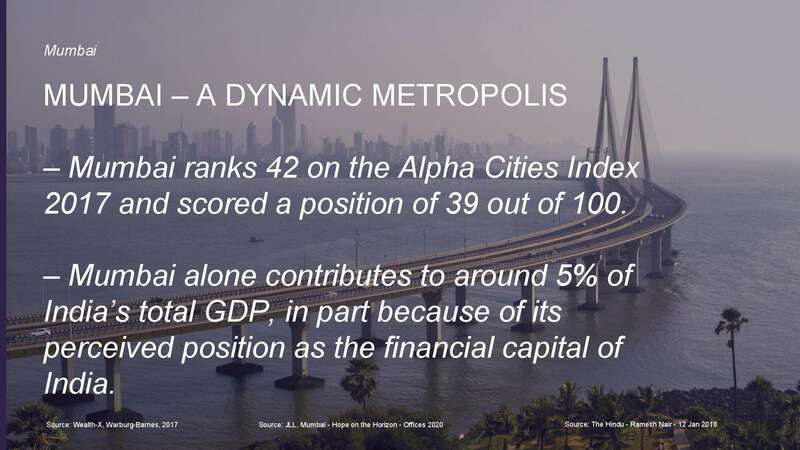 Mumbai is one of the dynamic metropolises in India which ranks 42 on the alpha cities index. 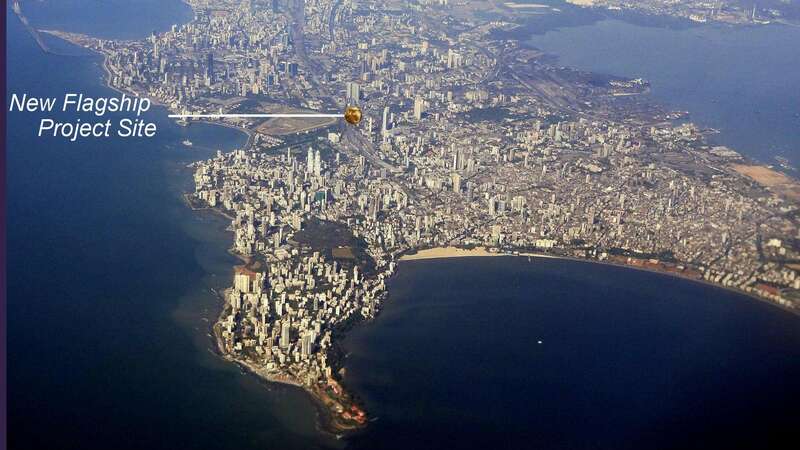 Mumbai, the financial capital of India contributes around 5% of India’s total GDP. Living a privilege life in the place which has the fusion of rich culture and cosmopolitan heart will gives you immense pleasure. If you the one seeking for such a luxury life in south Mumbai call us +919958959555 for pre-book your flat. Pre-booking for Piramal Mahalaxmi has been started to book the address of choice in Mahalaxmi Dhobi Ghat Mumbai. The Piramal Mahalaxmi is the contemporary development with spectacular skyscrapers with world-class facilities. The Piramal Mahalaxmi assures you the lavishness, sophisticated and cultural living in Mumbai. The expectation of living in a high rise towers with about 45 floors along with the awe-inspiring views of South Mumbai is offered by Piramal Mahalaxmi. 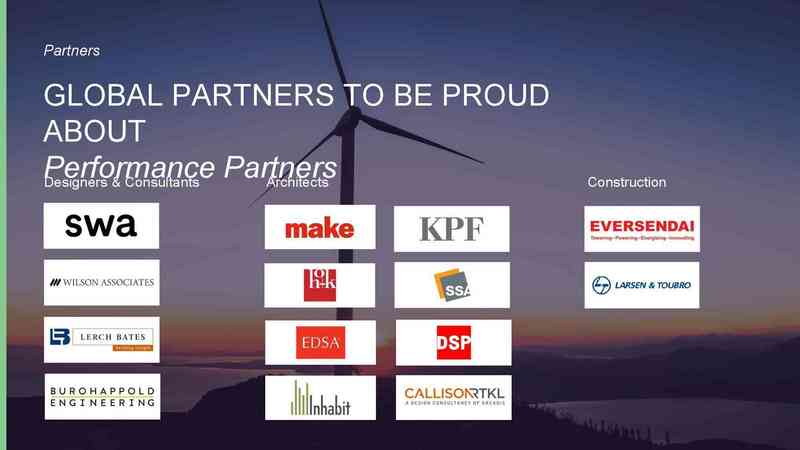 This project is soon to be launched with nearly 2 million square feet and 300 units. Piramal Realty offers you the stylish lifestyle in the mid of beautiful city with Piramal Realty. The 2 BHK and 3 BHK showcase the view of Arabian Sea, 225 acre Mahalaxmi racecourse, and expansive harbor and Mumbai skyline. The residential home offers the fresh air and eco-friendly environment with cool breeze in the busy city. Call us +919958959555 to know more details about Piramal Mahalaxmi and make a flat as yours. If one searches for a home they will not only look for house to live but also its locality. And Piramal Realty takes extra care for your locality. Piramal Mahalaxmi is in the mid of the city with all the facilities near you which you can access within 15 km. The locality Dhobi Ghat Mumbai is the developed area which has business districts, hospitals, schools, colleges, and shopping malls around the home. Having reputed institutions nearby your apartment will help to create a great future for your kids and Piramal Mahalaxmi is in the exact location where you can found the following high quality educational institutions. Contact us to book your flat soon with offers before launching +91-9958959555 and own your address in such a delightful place in the mid of city. Piramal Mahalaxmi projected provide its residents with all modern day amenities to have a stylish living in South Mumbai. Purchase 2 BHK and 3 BHK starting from 2.90 crore and pre-book now call us 9958959555. 2 BHK with total space of 755 sqft at Rs. 2.90Cr, 3 BHK compact homes with 886 sqft at 4.86 Cr, Large 3 BHK with the space of 1200 sqft at Rs. 6.49 Cr. Create a new address in Dhabi Ghat South Mumbai by calling us now and get the Expression of Interest (EOI) benefit. To get this benefit pre-book the home by filling the EOI form and send it along with the bankable cheques drawn in the favor of “Piramal Omkar Mahalaxmi A/C” before exact amount and launching has been announced. Bankable cheque varies as per the flat you choose. Own a new world class high quality home with renowned address which changes your life by pre-booking a flat in Piramal Mahalaxmi. Call us to clear your queries 9958959555 and get the assistance from us till you have your dream home. Visit www.piramalmahalaxmi.net to know much more about the project and fill out the form given to let us know your interest. It shall be subject to offer Mumbaikars their own Two bedrooms and Three bedrooms flats that shall be their own independent residence space in the locality of Mahalaxmi, Mumbai . The high rise towers in Piramal Mahalaxmi Mumbai project prelaunch will be of about 45 floors and will offers views of the Yeor Hills and Ulhas River which are lavishly designed to suit the luxury lifestyle in Piramal Mahalaxmi . 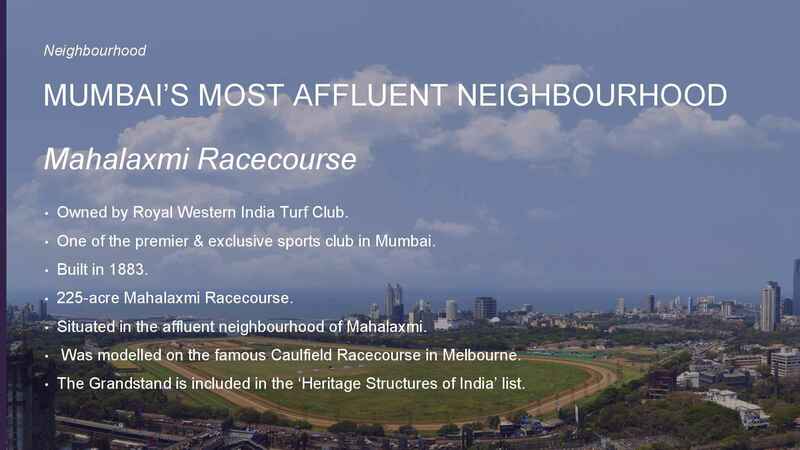 PiramalMahalaxmiMumbai offers easy connectivity to commercial & business hubs, premium facilities and lavish landscapes.Piramal’s Mahalaxmi racecourse Mumbai project location– Located in the heart of in Mahalaxmi Mumbai project is a premium residential project with signature. With easy access to the Western Express Highway and also Eastern Express Highway. 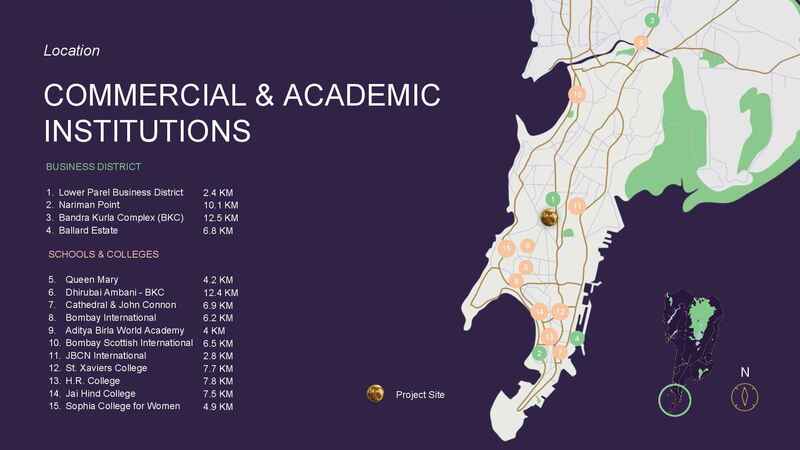 Project shall be having all amenities along with the unbeatable Location of Piramal New Project @ Mahalaxmi ,Mumbai project is also at very premium location having good views, air and ample sunlight. 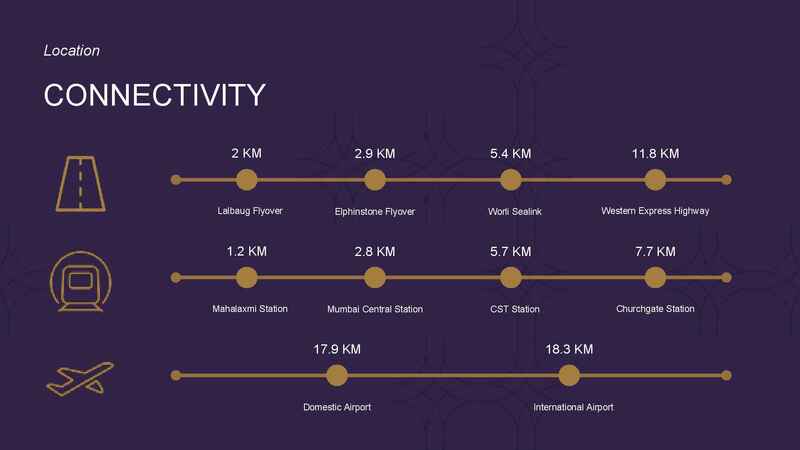 Its location is best suited to live as its connected to the all other parts of Mumbai through Western Expresshighway and is just fifteen minutes drive distance from Mahalaxmi Mumbai Station. Landscaped gardens with Kids corner and Club House will be there in this project,It will have Swimming Pool for adults as well as for children’s,Multi Purpose Activity Court will be there in this project,Clubhouse with Fully equipped certified Fitness Centre in Piramal Mahalaxmi Mumbai project location. The Project is expected to to provide its residents with all modern day amenities, facilities and conveniences . Locality Insights for Piramal realty’s new Mahalaxmi Mumbai prelaunch project-Schools, Hospitals, Malls, Restaurants and Play schools are in close vicinity of the Upcoming Piramal prelaunch project in Mahalaxmi Mumbai. Piramal Mahalaxmi coming soon.2&3 Bed Residences with views that will enamour you.Starting 3.40 Cr Pre-booking open in 24 hrs. Contact for more details & booking @ 9958959555 Piramal Realty (PRL), the real estate development arm of Piramal Group, today announced the launch of Piramal Mahalaxmi, its flagship project in South Mumbai. The development takes on the name of the locality, Mahalaxmi, which is one of Mumbai’s most desirable and sought-after addresses. The quintessential offering of this project is the coveted Lifetime Views of the 225 acre Mahalaxmi Racecourse, uninterrupted views of the Arabian Sea on the horizon, Willingdon Golf Course and the expansive Mumbai Harbour. With over 2 million square feet of development, this project is set to be one of the largest premium residential developments in South Mumbai. Piramal Realty will invest INR 2600 crores in this marquee development. Anand Piramal, Executive Director, Piramal Group and Founder, Piramal Realty, said, “Piramal Mahalaxmi is the perfect fusion of rich culture and a cosmopolitan heart. Naaman Atallah, CEO, Piramal Realty, said, “We are delighted to launch our flagship development in the vibrant real estate landscape of Mahalaxmi. The newly launched 63 storeyed tower, with over 300 units, offers a range of world-class amenities, such as swimming pools with infinite views, podium garden, landscaped outdoor terraces, gym, sports hall and jogging & cycling tracks. The luxury development offers customers a slate of 2 & 3-Bed residences, with spectacular views, in Tower-1. Piramal Realty has partnered with internationally acclaimed organizations, for the design and development of Piramal Mahalaxmi. Total Apartments : 296 Nos. Total Closed Car Parkings : 370 Nos. ‘Framed Views’ is an emerging theme throughout the development of Piramal Mahalaxmi. Inspired by the surroundings and regality of the coveted address, the floor-to-ceiling windows frame the picturesque views while filling the apartment with an abundance of sunlight. 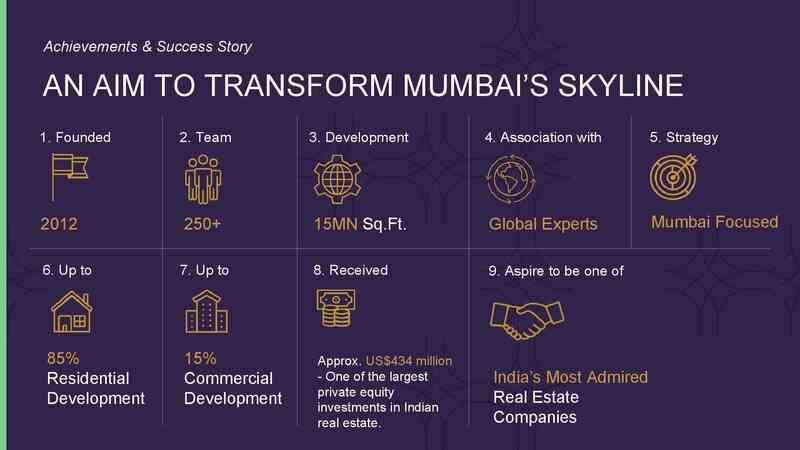 Earlier this year, Piramal Realty had announced a Development Agreement with Omkar Realtors for developing this 2 million square feet marquee project in Mahalaxmi. As per the agreement, Piramal Realty will lead the design, development, construction, sales & marketing for Piramal Mahalaxmi. Piramal Realty today said it has sold over 250 apartments worth Rs 1,500 crore in its housing project at South Mumbai. The company is developing the project ‘Piramal Mahalaxmi’ jointly with Omkar Realtors with an investment of Rs 2,600 crore. Piramal Realty said it achieved a sales bookings of 200 units on the first day of launch which was April 10. The company has now sold more than 250 units with sales value of around Rs 1,500 crore, the Mumbai-based developer said in a st ..